Original Watercolours, Prints and Linen Blocks. Please contact Angeline if you are interested in purchasing originals or prints of her paintings. JANUARY 2019 – Book now for Angeline’s next course at Capel Manor College - 25 – 27 February 2019: Winter subjects – Enjoying Form (suitable for beginners) Book through Capel Manor College website. FEBRUARY 2019 – This month see the first of this years courses at Capel Manor College - 25 – 27 February 2019: Winter subjects – Enjoying Form (suitable for beginners) and booking is open for the March course - 25 – 27 March 2019: Spring flowers – A small composition. APRIL 2019 – Next month Angeline is excited to be teaching a 2 day workshop - In The Walled Garden at Goodnestone Park Gardens for Field Breaks, bookings can be made through the Field Breaks website. MAY 2019 – This month sees Angeline teaching 2 courses, the first at Capel Manor College on a favourite subject – colour - 13 – 15 May 2019: Painting colourful blooms and looking at colour. The second a 2 day workshop at Goodnestone Park Gardens – bookings through the Field Breaks website. 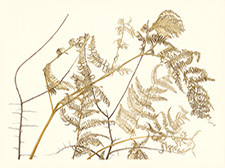 JUNE 2019 – The Society of Botanical Artists Annual Exhibition – Plantae will be held at The Mall Galleries for the first time Wednesday June 5th – Sunday June 9th - see website. OCTOBER 2019 – Angeline is happy to be returning to RHS Rosemoor to teach a 3 day workshop - Autumn Foliage in Watercolour is available to book through the RHS website. 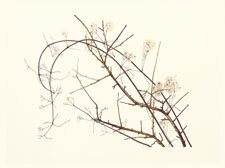 Angeline de Meester takes a new, fresh, approach to botanical art, providing a contemporary take on an age-old subject. Her work would complement any Home and enhance any room, engendering a feeling of tranquillity and order in a world that is rarely either. "Angeline de Meester is a graduate (with distinction) of the English Gardening School's prestigious diploma course in Botanical Painting and Illustration (Dip EGS). With a strong sense of design, Angeline's composition of well loved garden plants blend scientific accuracy with aesthetic beauty and challenge the viewer to look further into the painting"